Home affairs minister Peter Dutton has once again sparked a furore over his refugee policies. On March 14, the minister revealed to the Daily Telegraph that he’s instructed his department to look into fast-tracking humanitarian visas for “persecuted” white South African farmers. And while persecuted people are under threat regardless of nationality, Dutton’s comments stand in stark contrast to others he’s been making about asylum seekers and immigrants from other ethnic backgrounds. In 2016, the minister said immigration from Lebanon last century was a mistake. In August last year, he described Middle Eastern and South Asian asylum seekers as scammers exploiting the welfare system. While in January, he warned of an outbreak of “African gang violence” in Melbourne. And that’s not to mention that under his tenure, thousands of Middle Eastern and South Asian asylum seekers have been languishing in prison-like conditions in offshore detention, while thousands more living in the Australian community were threatened with deportation last year. 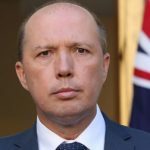 Minister Dutton explained that the persecution of the farmers had been brought to his attention via reports in the Daily Telegraph. But, South African crime statistician Gareth Newham has said there’s no evidence these farmers are being targeted more than any other South African citizens. 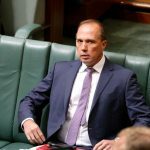 The South African foreign ministry called on Dutton to retract his comments. “There is no reason for any government in the world to suspect that a section of South Africans is under danger from their own democratically elected government,” it told Reuters. Currently, white South Africans own 72 percent of the agricultural land in their country, despite only making up 8 percent of the population. The nation’s parliament has voted to undertake a new program that will expropriate farmlands without compensation and redistribute them. 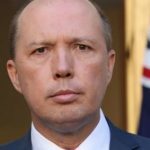 Dutton’s focus on white South African farmers, whilst making critical comments about refugees of other ethnic backgrounds, hearkens back to the White Australia policy. And the issue of taking in white farmers has also been a major concern amongst alt-right commentators in the United States. 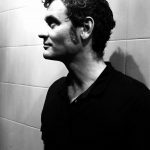 Indeed, reports about persecuted white South African farmers have been widely circulated on far-right US websites, some of which also promote the concept of “white genocide,” the idea that white populations are being overtaken by people of colour. And against this backdrop, Australian authorities have been trying to deport children who were actually born in the country. At 5 am on March 5, Australian Border Force officers raided the home of Tamil asylum seekers Nadesalingam and Priya in the central Queensland town of Biloela. The incident occurred one day after Priya’s bridging visa had expired, even though, she was expecting another one. Nadesalingam came to Australia by boat in 2012, while Priya arrived in 2013. The pair met and married here. Along with their two Australian born daughters, nine-month-old Dharuniga and two-year-old Kopiga, the couple were forcibly removed from their home during the dawn raid. On March 13, as the family were seated on a plane in Perth airport about to be deported to Sri Lanka, along with 25 other Tamil refugees, they were granted a last minute reprieve via an injunction filed by their lawyers. Following the family’s removal, Biloela social worker Angela Fredericks started an online petition asking minister Dutton to return them home. The petition has so far garnered over 92,000 signatures. The family are currently being held in a detention centre in Melbourne, pending a hearing in May. “This family will now have the chance to a full hearing, in which all the evidence around their need for protection can be presented,” Ms Fredericks explained. “All refugees should have access to appropriate legal representation from the start, in order to navigate Australia’s complicated immigration system,” she added. 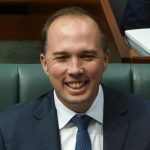 In May last year, minister Dutton gave 7,500 asylum seekers until October 1 to lodge their protection visa applications. Just like Nadesalingam and Priya these people arrived by boat between August 2012 and December 2013. However, they weren’t allowed to apply for asylum until November 2016. The Refugee Advice and Casework Service (RACS) helped close to 2,000 of these people with the lodgement of their protection visa applications. And now they’re undertaking the mammoth task of assisting many of them with the daunting Immigration Department interview. RACS senior solicitor Alison Ryan said her organisation is currently providing legal representation to those who need it. “We really can only do that with the amazing support that we’re getting from pro bono lawyers through firms in Sydney,” she explained. According to Ms Ryan, it’s critical for these asylum seekers to have someone present to help them understand what’s taking place during the complex interview. She mentioned that with their support around 70 percent of clients have been successful in proving their refugee status. RACS is currently seeking donations to maintain their vital work. “In order to get the job done we’ll need about 7,200 hours of pro bono support over the next 18 months and we’re seeking funds to manage that,” Ms Ryan said. Ms Fredericks outlined that minister Dutton made two points clear when discussing the white South African visa issue. As Ms Fredericks explained “horrific circumstances” are behind all refugees coming to this country. She further added that the minister is trying to return Nadesalingam and Priya to a country where UN reports confirm Tamils are subject to systematic violence and torture. “Minister Dutton should focus his attention on refugees that Australia has already made a commitment towards protecting,” she concluded.